First-time homeowners often make these 9 common — and avoidable — mistakes… Don’t be one of them! Twenty feet is a safe distance from home for firewood. I hope this research helps you and your home investment. Everyone wants a magic and immediate path to wealth. The bad news? The path doesn’t exist. Wealth is attainable through more conventional means. If you come to understand the real estate industry and if you deepen your own firsthand experience as you buy and sell investment properties, you’ll be on the road to success. Along the road, there are six core principles that will make or break each real estate investment deal. They are the most important concepts you will learn. I call them the Big Six. With each successive deal I negotiated, I grew to recognize the common elements. The Big Six are part of a sequenced step-by-step formula that enables you to identify and purchase the right income property at the right price. Location is the single most important component of any real estate deal. It is crucial in determining your investment success. Look for properties that are situated in an “A” location. Such locations include the socioeconomic levels of the people who live or work in a particular neighborhood, its proximity to shopping centers, public transportation, crime levels, the nearness of prestigious universities and medical facilities, traffic congestion, zoning restrictions, the quality of schools, fire and police protection, and even the reputation of the local government and its officials. Design efficiency interfaces with building quality. When you find an investment property you’d like to buy, you will need to scrutinize both elements. Look for properties that far exceed minimum construction requirements and that have useful and innovative design elements. This will not only make the property attractive to tenants but will add value to the property in the future. Design features on apartment complexes that stand the test of time include walk-in closets, large kitchens with windows, and his-and-her bathrooms. In an office building, a common area factor of 15 percent is desirable as well as a ratio of four parking spaces for every 1,000 square foot of rentable space. Tenants can represent either an asset or a liability in an investment. When you invest, your mission is to make sure your tenant profile is the former and not the latter. Just as you want a well-constructed and well-designed property, you’ll want stable tenants who are a good match for your property and have appropriate lease agreements. Find out how much rent is generated and whether it is at market rate or under market. You want to focus on finding an income property that offers the opportunity to increase rental income and, by doing so, multiply the value of the property so that you can resell it at a substantial profit. This fourth element refers to the cash flow growth possibilities offered by a particular property along with the likelihood that the property will increase in value. A property may cost $1,500,000 to construct, but if it brings in only the income of a $900,000 property, then it is worth only $900,000. The key to increasing value lies in buying a solid Class B property in an “A” location where the rents are under the market, the leases are short term, and there are no options to renew the leases. In the musical Cabaret, there is a song with the lyrics “Money makes the world go around.” It could just as easily be used to describe real estate’s role in the economic landscape. The free flow of money and access to credit is what adds vibrancy to property investment. Before you get started, you’ll need to get a number of finance-related items in order. The first thing you should do before applying for a mortgage loan is to review your credit reports and your credit scores. Also, learn the terms, understand the components of a mortgage and how they interact, and be open to the full range of financing options available. Banks and other financial institutions make money from mortgages. They are willing to negotiate. Be creative, you may be surprised at the terms you’re able to obtain from a bank or insurance companies, especially in today’s low interest rate environment. The successful evaluation of a property’s price has to do with how much information you can gather about a seller and the property than it does about the price tag on the real estate deal. You must look at the value of the property, which is not the same thing as its price. The crucial concern is not just how much the property costs, but what kind of income it can generate for you. A property may be architecturally perfect and engineeringly sound, but if you’re locked into long term under market lease rates, the value will be eroded. If you master these principles, wealth will be within reach. However, it’s not enough to just understand and utilize the Big Six. You must execute them in order. That’s because they all fit together snugly to form your customized real estate formula. Call Claire or Karl at 610.256.2780 for information about investing in real estate, and as always thanks for listening. 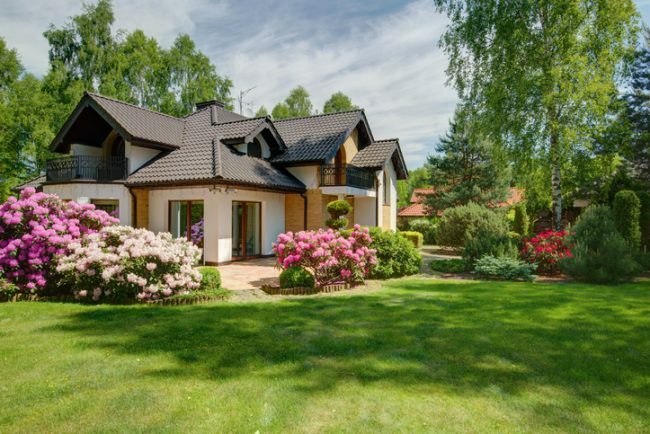 Spring has sprung, which means the housing market is in full bloom. Each year, roughly 40 percent of real estate transactions occur between the months of May and August. If you’re feeling inspired to buy or sell a home soon, make sure you’re prepared. Use these checklists to catch anything you may have missed. Decide on an appropriate selling price. Pulling comps with an experienced REALTOR in your area can give you a better idea of your home’s value. Claire and Karl are here to help you through this process. We are very experienced and master negotiators. Give us a call at 610.256.2780. You’ve decided to go for it. You know mortgage rates are enticingly low.Buying a home can be thrilling and nerve-wracking at the same time, especially for first-time homebuyers. It’s difficult to know exactly what to expect. Take these five steps to make the process go more smoothly. Your credit score is among the most important factors when it comes to qualifying for a mortgage. “In addition, the standards are higher in terms of what score you need and how it affects the cost of the loan,” says Mike Winesburg, formerly a mortgage planner with McKinley Carter Wealth Services in Wheeling, W. Va.
Scour your credit reports for mistakes, unpaid accounts or collection accounts. Just because you pay everything on time every month doesn’t mean your credit is stellar. The amount of credit you’re using relative to your available credit limit, or your credit utilization ratio, can sink a credit score. The lower the utilization rate, the higher your score will be. Ideally, first-time homebuyers would have a lot of credit available, with less than a third of it used. Repairing damaged credit takes time. If you think your credit may need work, begin the repair process at least six months before shopping for a home. A first-time homebuyer should have a good idea of money they owe and money they have coming in. “If I were a first-time homebuyer and I wanted to do everything right, I would probably try to track my spending for a couple of months to see where my money was going,” Winesburg says. Additionally, buyers should have an idea of how lenders will view their income, and that requires becoming familiar with the basics of mortgage lending. For instance, some professionals, such as the self-employed or straight-commission salesperson, may have a more difficult time getting a loan than others. The self-employed or independent contractor will need a solid two years’ earnings history to show, according to Winesburg. When applying for mortgages, you must document income and taxes. Typically, mortgage lenders will request two recent pay stubs, the previous two years’ W-2s, tax returns and the past two months of bank statements—every page, even the blank ones. “Why it has to be every single last page, I don’t know. But that is what they want to see. I think they look for nonsufficient funds or odd money in or out,” says Floyd Walters, owner of BWA Mortgage in La Canada Flintridge, Calif. Ideally, you already know how much you can afford to spend before the mortgage lender tells you how much you qualify for. By calculating debt-to-income ratio and factoring in a down payment, you will have a good idea of what you can afford, both upfront and monthly. Though there’s not a fixed debt-to-income ratio that lenders require, the standard dictates that no more than 28 percent of your gross monthly income be devoted to housing costs. This percentage is called the front-end ratio. The back-end ratio shows what portion of income covers all monthly debt obligations. Lenders prefer the back-end ratio to be 36 percent or less, but some borrowers get approved with back-end ratios of 45 percent or higher. “I’ve helped arrange assistance loans for $10,000, which are interest- and payment-free, and forgivable after five years. Although considered a loan, they’re more like grants. Other programs can provide up to $40,000 interest-free,” Winesburg says. Claire and Karl can help. Give us a call and we will help you lead through the process.